“And now, O Israel, listen to the statutes and the rules that I am teaching you, and do them, that you may live, and go in and take possession of the land that the LORD, the God of your fathers, is giving you. You shall not add to the word that I command you, nor take from it, that you may keep the commandments of the LORD your God that I command you. […] But you who held fast to the LORD your God are all alive today. See, I have taught you statutes and rules, as the LORD my God commanded me, that you should do them in the land that you are entering to take possession of it. Keep them and do them, for that will be your wisdom and your understanding in the sight of the peoples, who, when they hear all these statutes, will say, “Surely this great nation is a wise and understanding people.” For what great nation is there that has a god so near to it as the LORD our God is to us, whenever we call upon him? And what great nation is there, that has statutes and rules so righteous as all this law that I set before you today? “Only take care, and keep your soul diligently, lest you forget the things that your eyes have seen, and lest they depart from your heart all the days of your life. Make them known to your children and your children’s children. Do you still remember the sermon from the last week? It helped us to reflect that to be a Christian is harder and harder these days. Here in Barossa we need to understand one thing. Times have changed. It may seem very obvious a statement, but this is what I meant by it. Some time ago, Barossa was Christian settlement. It had Christian culture. It was in no way perfect, from what I have heard, but it focused on the Word of God. Being a Christian was a part of this culture. You were an outsider by not being a Christian. Today times has change, the culture has changed – now you are an outsider if you are a Christian. If you try to live as a disciple of Christ, not simple a Christian by name. The result of these changes is this new situation, where the thinking of people are not anymore shaped by the Word of God, but by different ideologies. It means that many who consider themselves to be Christians, in fact think, and act and perceive this world as non-Christians. Tim Keller, a pastor from New York once said that any culture in which we live is like a rain. You may have an appropriate cloth, but as the time goes you will get wet anyway. We are not safeguarded from these changes around us either. It is difficult to understand what is going on if you are in the middle of something. It is very different if you can have a perspective from above, or from a distance. Then you can see a full picture and make sense of it. This is exactly what God’s Word offers to us. Eternal, unchanging wisdom of the Creator. This is what we need – stable, unshakable foundation, if we want to remain faithful to Christ is this ever changing world. Words which we just read from the OT, Moses spoke to the Israel when they were about to enter the land totally hostile to the true God. You are the New Testament Israel and you live in this land which also becomes more and more hostile to the true God. These words of Moses can help us to reflect on our responsibilities and to blessings that our Lord continually bestows upon us. Let’s look at what Moses said verse by verse. What are these words? Commands, or promises? Promises, wonderful promises of God! I have said it before, and it is worth repeating that Biblical faith is the most materialistic faith that there is. It is so much creation focused. Here God is giving His people a gift. The gift of land. Yes, He cares about our live on earth as well. About us possessing the land and enjoying its fruits. Of course, this gift comes together with instructions. We can see it here how God acts and what is the role of His instructions to us. He is the Giver of every good gift. He wants to bless you abundantly. But for you to be able to receive and enjoy these gifts you need to learn His wisdom. This is where His instructions come in. This directly apply to our lives as well. God the Father wants to bless you abundantly. He doesn’t reveal His will, His laws, His design for our lives so that we could earn His blessings. No, He simple teaches us how to enjoy them properly. By the way, we can see how this has played out in the history of humanity. Which countries are the most blessed by good life, by wellbeing? The countries of the Western world. The countries which were built on this unshakable foundations of God’s holy Word. In a way we can say that the Western civilization in a living proof to how this promise of God has played out in our lives. Think about it. God’s eternal wisdom is as effective as it is real. As I said, we all are influenced and shaped by the culture around us. How much do we care about what God teaches us anyway? How faithfully do we follow these guidelines – not taking anything away from God’s Word and not adding any human wisdom on top of that? Let’s narrow this question down. How many of us can name the Ten Commandments? How many can explain what they mean? How many can tell others how the Commandments reveal God’s wisdom for our lives? How many of us look for God’s wisdom as guidelines in all realms of our lives? For our relationships with God? Not my will, but yours… Or for our relationships in the community of saints? Do we come where the holy God invites us, or we assume that He must come to us when we need Him? How many do look for God’s wisdom to guide their thinking about sexuality, marriage, parenting, about their work, money, about their rest, about life in community? How many? Today many think that we are smarter than God. We don’t need His Word anymore. Those who want to take away from God’s Word may argue that Moses spoke to the OT people, and we are the NT people. Yes, of course, we are, and this is what Jesus so strongly emphasized for us. We need to remember, the Commandments are not some kind of arbitrary rules, they are God’s design for human community. As there are God’s laws for nature, there are also God’s laws for humanity. To know them, that is the true wisdom. 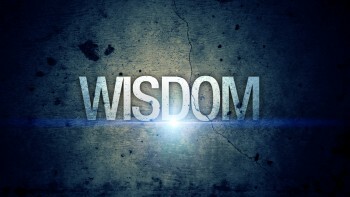 When we know it and live accordingly, we flourish, and today our culture really needs all God’s wisdom that there is. As you know, in the Bible relationships between God and His chosen people are often described as, yes, as marriage. In this verse Moses uses the same word to describe how we are supposed to hold fast to the Lord that is used in Gen 2:24, where God’s institution of marriage is described. Hold fast, cling, cleave to one another! We are to hold fast to God the Father and the Son and the Holy Spirit. To love God is not about being a nice person. It is about loving God, as in being in the closest and most intimate relationships. It is about loving the other person and desiring to be with Him. This is what your God offers you and what He expects from you. Think about it – what kind of love is this, that He wants to be with you? For He really knows you. He knows your heart, He knows you better that you yourself, and He longs to be in relationships with you. And for those who answer to His love, He has prepared “what no eye has seen, nor ear heard, nor the heart of man imagined…” the new heaven and new earth. (1Co 2:9) Where you will dwell in His presence forever. These are very important words. Earlier we read that if only we follow God’s instructions, abundant blessings await us. It was about God’s blessings for us, but here we see the true nature of our God. You see, this is how our God works. He pours His blessings over us, so that we can be a blessing of others. In this instance He describes it very specifically. If you learn and with God’s help keep His wisdom as it is summarized in the Ten Commandments, this will change your live and you will be wise and understanding people, a very opposite to foolish and ignorant nations who reject true God. Then this your wisdom will serve to attract others to our God. True wisdom is appealing. It attracts people. And our God is willing to share it with everyone who only wants to appreciate it, and His wisdom make even the simplest wise. You can see that for us to learn and to understand God’s wisdom is not only about receiving His blessings for our lives, it is also about giving a clear testimony to people around us. This is why God instructs us and why we are to listen and learn from Him. So that we can bring others to Christ. Today it is especially important. As the culture has lost God’s wisdom, people become more naïve and arrogant, they believe that instead of learning how this world function, they can change it according to their desires. It is like dreaming that my desires can change the laws of creation. These people need to see that there is true wisdom, and there is no one else who can show it to them, but we as God’s children and Jesus’s disciples. For what great nation is there that has a god so near to it as the LORD our God is to us, whenever we call upon him? And what great nation is there, that has statutes and rules so righteous as all this law that I set before you today? Two things God emphasized. First, that we need to learn and to live according His wisdom, summary of which is given to us in the Ten Commandments. Second is about the presence of God in the Divine Service. These two things are revealed and given uniquely to God’s people. His wisdom and His presence. These two are what makes God’s chosen people so unique. These two are what makes you unique. There is a deep irony, though. There are many people who have been shaped by God’s wisdom as they grew up in Christian environment, and who would still claim that they are Christians. However, so often they want nothing to do with these two the most important things, – God’s and His presence in the Divine Service, even if these two things in a way define what it means to be a Christian. We are influenced by our culture so much. It is harder and harder to be Jesus’ disciples. The gap between our culture and Christian discipleships grows wider and wider and sometimes this gap goes straight through our families. Then it is very painful. Then Jesus words are comforting: “Everyone who has left houses or brothers or sisters or father or mother or children or lands, for my name’s sake, will receive a hundredfold and will inherit eternal life.” (Mat 19:29) That’s it. Again we can see God’s caring nature. When He blesses someone, He wants that His blessings extend to as many as possible. Therefore here He commands not only to learn and to keep His wisdom, but also to teach it to our children and grandchildren. Remember, the culture around us has changed, it has lost God’s wisdom. We are called to teach and to share it. To show the world God’s wisdom and understanding. How can we teach it? Only if we know. How can we know? Only if we learn from God’s Word? How can we share? Only if we experience God’s goodness and His presence ourselves. This is what we all are called to do. To enjoy God’s wisdom and presence, to testify about it, and to teach our children and grandchildren, so that they are wise and understanding people, and so that we never forget what the Father in Heaven does for us.